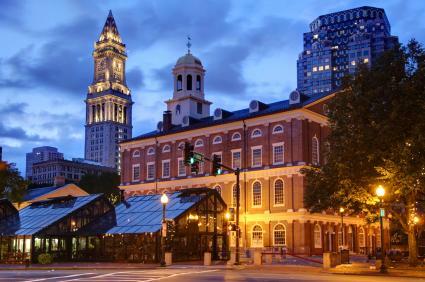 Founded in 1633, Boston is one of America's oldest and most diverse cities. This Massachusetts city is a mix of old and new, so its roots are rich in history yet it has plenty of contemporary establishments. This mix of old and new creates exciting options for travelers from around the world, making Boston an ideal place to visit and vacation. The Freedom Trail is a mostly brick, red path that leads visitors through the heart of Boston to many of the city's historic sites. It begins at Boston Common and leads sightseers two-and-a-half miles to the Bunker Hill Monument in Charlestown. Its name rhymes with panel, and it's located in the heart of Boston. Built in 1742, the Faneuil Hall Marketplace has been a favorite site for speeches given by famous politicians from Samuel Adams to John Kerry. Today, it is a vibrant experience, filled with unique shops, eateries, and an eclectic food court. Boston's Museum of Fine Arts first opened to the public on the nation's centennial, July 4, 1876. It's one of the greatest encyclopedic art museums in the world, with a mission to serve a variety of people. Fifty-three galleries are included in the Art of the Americas Wing. Other exhibits include Egyptian Artifacts, French impressionist and post-impressionist works, and an extensive collection of Chinese painting, calligraphy and imperial Chinese art. Officially called Christ Church, the Old North Church is the oldest active church in Boston and is designated as a national Historic Landmark. The church is best known for its steeple where patriot Paul Revere signaled "One if by land, two if by sea," a sign that the British were coming during the American revolution. The signal was later immortalized by Cambridge poet Henry W. Longfellow. Across the Charles River from downtown Boston lies Cambridge, home to Harvard University. 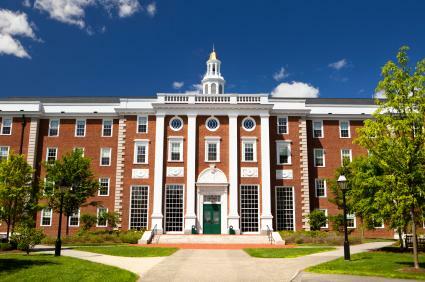 Established in 1636 it is the oldest institution of higher learning in the United States. The prestigious college is also home to the world's third largest library as well the important Fogg Museum of Art and the Arthur M. Sackler Museum. While Symphony Hall was built for the Boston Symphony Orchestra in 1900, it's also used by the Boston Pops Orchestra. Nearly 100 years after its construction, the structure was listed as a National Landmark. Acoustically, the hall is one of the top three in the United States. Boston Harbor Hotel: Like the rest of the city, this hotel brings together the colonial past and exciting present. It was awarded the Mobil Travel Guide Five Star Award and has been listed as one of the World's Best Places to Stay by Condé Nast Traveler. The hotel offers seasonal family packages that include treats and aquarium admission, as well as other packages offering luxury and romance. The Liberty Hotel Boston: The hotel is thought to be one of the best examples of Boston Granite Style. It was originally a prison, but after 120 years of use by inmates, it was declared unfit and in violation of the constitutional rights of the inmates. Although the building and property were initially acquired by Massachusetts General Hospital, it was eventually turned into the Liberty Hotel. 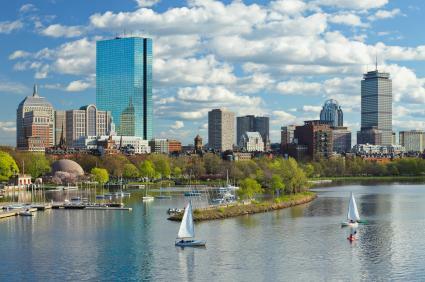 Several different packages are offered that include trips to Boston's most popular attractions. The Beacon Hill Hotel: This hotel is located in Boston's Beacon Hill area. It features all the modern conveniences of larger luxury hotels in a much more intimate surrounding. Rooms boast decorative touches such as plantation shutters, pedestal sinks, black and white photography as well as LED flat-panel televisions and complimentary high-speed wireless internet access. There is also an on-site French bistro-style restaurant. Aisling Bed and Breakfast: This B&B is located in the historic South End neighborhood. It is nestled among restaurants and is an ideal location for exploring the South End area. Each room is equipped with its own bath, television and wireless internet. In addition, guests can enjoy a breakfast of muffins, frittatas, coffee, tea and more. The Gryphon House: This inn is located in the Back Bay area of Boston. It is a luxurious bed and breakfast located within walking distance to most of Boston's main attractions. Guests can enjoy queen size beds, fireplaces, private baths, internet and a continental breakfast. B&G Oysters: If you are looking for fresh oysters and seafood, B&G is your spot. Located in the South End of Boston, this oyster bar features over 12 types of oysters, lobster rolls, fried clams and more. When dining, be sure to check out the wine list that features reasonably priced red, white and sparkling wines. Stephanie's on Newbury: This unique restaurant is located in Boston's Back Bay. It features "sophisticated comfort food" in a relaxed setting. Expect to find simple yet elegant options all made from scratch. Some favorites include macaroni and cheese, steamed mussels, ahi tuna, crab cakes as well as salads, sandwiches, soups and more. Atlantic Fish Company: This Boston landmark is located It offers guests the freshest fish and seafood. Each day the menu changes to reflect the fresh daily offerings. Some menu favorites include baked stuffed Maine lobster, jumbo lump crab cakes, tuna Bolognese and sea bass chowder. During the warmer months, guests can sit outdoors on the patio to enjoy their drinks and dinner or year-round choose to dine in the dining room that is reminiscent of a classic cruising vessel. Neptune Oyster: This restaurant is located in the North End of Boston. It features daily specials, a raw bar and favorites such as clam chowder, lobster rolls and fresh seafood dishes. Mamma Maria: This Italian restaurant is located in Boston's North End. It has a romantic setting and is a popular spot for locals as well as those visiting the city. This restaurant is the only one in Boston to receive a Four Diamond rating by AAA Travel Guide. It has also been voted as one of the top Boston restaurants by Trip Advisor. Expect to find dishes such as lobster pasta, suckling pig, lamb gnocchi and veal osso buco. Gaslight: For the best brunch in town, check out Gaslight. This Parisian-style brasserie is located in the historic South End of Boston and features eggs in red wine sauce, smoked salmon, vanilla French toast and omelets with Gruyere cheese. You can also find soups, desserts and dinners on the menu. Picco: This restaurant offers dishes to please the entire family. From wood-grilled pizza to paninis and pasta, there is something for everyone to enjoy. Finish your meal with one of the daily ice cream flavors or fresh sorbets. Known to travel agents as "America's Walking City," Boston is a city best explored on foot. It is compact enough for walking and bicycling. In fact, Boston has the highest percentage of on-foot commuters and was named one of the best walking cities by Prevention magazine. The Massachusetts Bay Transportation Authority (MBTA) offers a variety of transportation options, making it simple to get around Boston via bus, subway, short distance rail, and ferry. Getting around by car is not the best way to enjoy a visit to Boston. Decent parking in the Boston area can be difficult to find as well as costly. You'll spend less money and experience much less stress if you tour the city on foot or rely on public transportation. Boston is a destination that honors its rich history while progressively moving forward. It is ideal for vacationing with a family or for a romantic weekend getaway for two. From walking tours, entertainment options and terrific dining, a Boston vacation can please people of all ages. No matter what your interest, there is sure to be something in the city that will excite you and make you want to come back for more. To learn more about visiting the city, register for the free Boston Traveler newsletter or visit the Greater Boston Convention and Visitor's Bureau.